Tokyo, January 20, 2011– Mitsubishi Motors Corporation (MMC) today announced the formulation of the “Mitsubishi Motors Environment Initiative Program 2015,” a mid-term plan for the group’s environmental initiatives. This program follows up on “Environment Initiative Program 2010” and represents a guide for the company from FY2011 to FY2015. As well as being an action plan for the achievement of “Mitsubishi Motors Group Environmental Vision 2020,” it is one of the key points of the new “Jump 2013” mid-term business plan that was also announced today. The program will be pursued as one of the group’s top priorities. MMC launched the “Environment Initiative Program 2010” in FY2006, and it spearheaded the development and commercialization of a number of environment-friendly vehicles and technologies. Among the highlights where the launch of a new-generation electric vehicle “i-MiEV“, the launch of vehicles with clean diesel engines that meet the latest standards in Japan and Europe, as well as expanded usage of “Green Plastic”, based on the company’s proprietary plant-based plastics technology. In production processes, the company has made great strides in preventing global warming and environmental pollution, including the introduction of new method of application to reduce drying energy in water-based painting lines. In June 2009, the company formulated and published the “Mitsubishi Motors Group Environmental Vision 2020” as its overarching guidelines for environmental initiatives. Among the goals to be achieved by 2020 are electric-powered vehicles (EV and PHEV) accounting for 20% or more of total production volume, (new) models’ CO2 emissions to be reduced by 50% in comparison from FY2005 levels as a global average. The company also targets a reduction of at least 20% in CO2emissions per vehicle in its production processes in comparison from FY2005. “Environment Initiative Program 2015” sets interim targets for 2015 as a step along the way to achieving the 2020 targets. It calls for electric-powered vehicles to account for at least 5% of total production volume, thus helping the target of 25% reduction in CO2 emissions, and a reduction of 15% in CO2 emissions during production (all in comparison to FY2005 levels). In the area of “products and technology,” the company will enhance its line up and expand its sales territories for electric-powered vehicles (EV and PHEV). It will also develop new technologies to improve performance of EV/PHEV and create systems and organizations for the recycling and reuse of spent batteries. In addition, it will endeavor to reduce environmental load throughout the product lifecycle by proactively launching more “Green Technologies”, including hybrid vehicle, next generation MIVEC* engine and idling stop mechanism, expanding application of “Green Plastic” and strengthening the management of hazardous substances contained in products and materials. The company will promote environmental activities in all facets of its operations, including product planning, development, production and after-services. 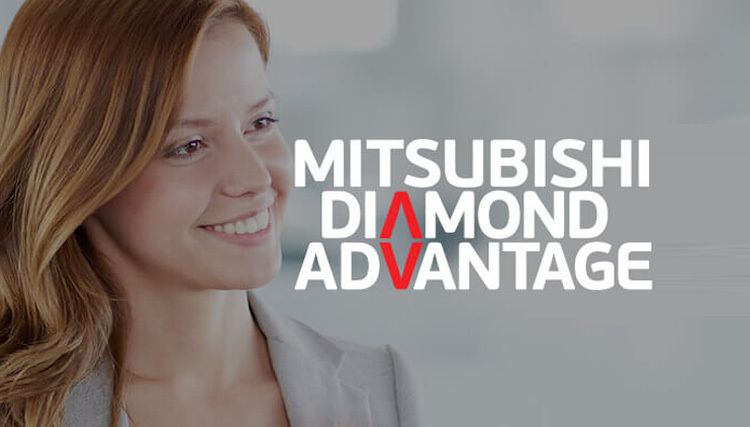 It will also set environmental standards for business activities in the individual areas of production, procurement, sales and after-services etc, and will endeavor to improve the levels of environmental initiatives throughout the Mitsubishi Motors Group. The company will play a proactive role in efforts to create infrastructure and perform field testing that will lead to the spread of electric-powered vehicles. It will also work together with customers and society at large to create new transportation system. In addition, the company will endeavor to further expand disclosure of environmental information and will deepen communication with stakeholders in both directions so as to better work with local communities and environmental NPOs/NGOs on effective conservation activities.